The boom in literary festivals has provided writers, from emerging to established, with the opportunity to reach new audiences and engage new readers with their work, as well as the valuable experience of networking with peers and contemporaries. So how do you get on the program? In this workshop, experienced programmer and Festival Director Maryanne Vagg will explore what it takes to get a seat on stage and what to do when you get behind the microphone. 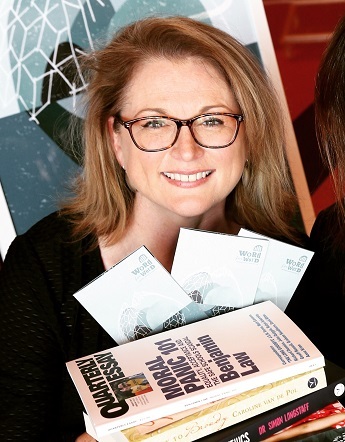 Maryanne Vagg has spent more than a decade working in the public library sector in senior cultural and public programming roles both in Geelong and prior to that, with Gold Coast Libraries. Maryanne developed and delivered Literati, the Gold Coast’s first literary festival and ran it successfully for three years prior to relocating to Geelong and working with the Geelong Regional Library Corporation, where she developed and expanded a broad range of high-profile and community responsive public programs. Five years ago she created Geelong’s first major literary festival, the unique Word for Word Non-fiction Festival which she programmed and directed.